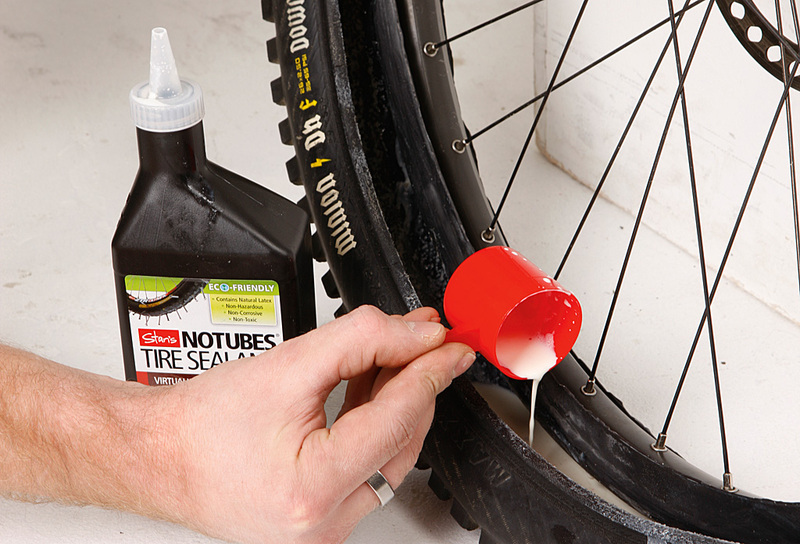 Still not convinced about tubeless and its advantages? Well, how about converting your existing tyre and rim combination for the price of a couple of tubes and a bottle of sealant? This tubeless mtb setup has been tried and tested by us for several years, and it’s easy to accomplish by anyone with reasonable mechanical skills and about 30 minutes on their hands. It could be used as a stepping stone before you take the plunge and splash a load of cash on a dedicated set-up, which would ultimately mean a new set of rims (plus the resulting wheel build) and a set of specific UST or tubeless-ready tyres. We’ve found that BMX (20in) tubes work best as rim strips on a 26in rim, while BMX cruiser tubes (24in) work well on 29er rims. You’ll achieve a better seal if the rim is in good condition, but I have experimented with a battered old rim covered in dents and dings and still achieved a seal. As with anything DIY, going ghetto isn’t covered by any manufacturer’s guarantees. It’s unlikely to put any more stress on the tyres or wheels if you follow this step-by-step closely, but even so, this conversion is at your own risk! A step-by-step guide to this job features in February 2013’s issue of MBR, onsale from Wednesday, January 9. Like this? Try our video guides to creating your own bargain toolkit, revamping a budget fork and making your own chain device.